Rolex doesn’t need any introduction due to their prestige. At the same time, the brand’s sales can largely be attributed to their extensive collections of watches. This includes the expensive, budget-friendly and of course mid-range Rolex watches. Nevertheless, all of them are excellent selections depending on your budget. 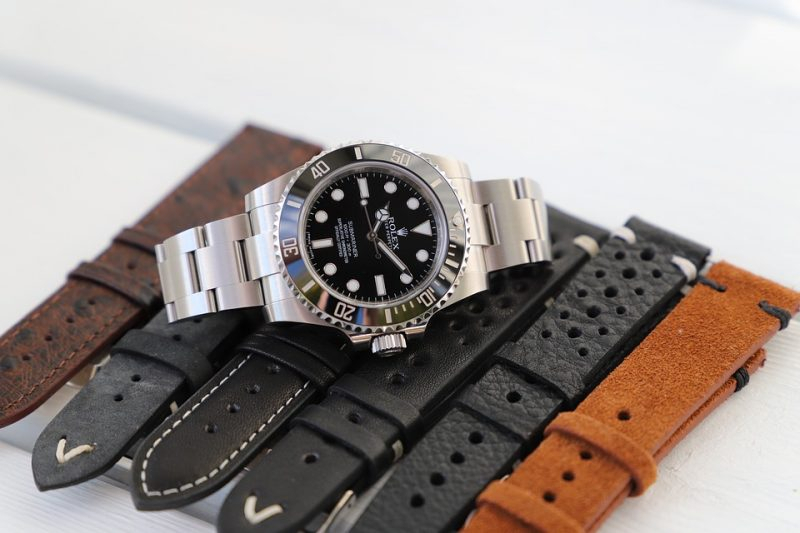 This post will focus on the best mid-range Rolex watches (under $10,000) to consider and think about out if you’re looking for something sophisticated, reliable and timeless. For a straight-up dose of the best that Rolex can offer you, you should consider the Rolex Oyster Perpetual. The case is water-resistant up to 100 meters, it uses the iconic Twinlock system to prevent things such as dirt, and lastly, it’s extremely versatile in use. The price range for this watch is around $5,000. If there was ever any watch that could be tailored to all purposes, then this might be your best bet. The Rolex Milgauss for all intents and purposes is created for anyone with an interest in technology/engineering and science. The second hand on the watch is in the form of an orange thunderbolt which combines well with the orange markers. 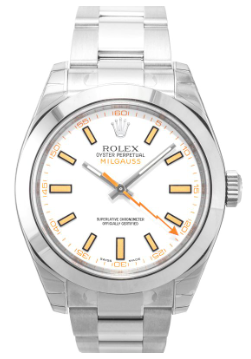 Now, with that point made, Milgauss (despite its theme) is actually rugged. The watch was created for engineers and technicians to negate the effect (inaccuracy) of magnetic fields on a movement. At the same time, the build quality is kept intact too. 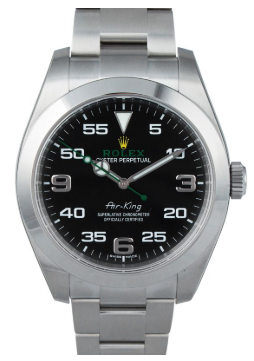 Both of these things bode well for any watch guy or girl looking for the good Rolex experience. This is what we mean; for the part about fields, nowadays, you don’t need to be either a technician or engineer before you’re met with magnetic fields from smartphones, laptops and the likes. After that, the watch uses two of Rolex’s favorites: an Oystersteel case (housing the Caliber 3131 movement) and a Twinlock crown to complete the build. The watch’s price can be found for around $7,000-9,000. The Rolex Air-King, costing around $6,000 has a solid history with the British Royal Air Force. Back then, the watch was to be the go-to combat companion. This means the watch was made to shrug off damage (in reasonable amounts) and most importantly, to show the time with pinpoint accuracy and high readability. In copies nowadays, you’ll notice the bold and big forms of the numbers used and the compact and strong build that houses the self-winding Caliber 3131 movement. In the case of the first one, it makes the time easy to read—especially the chromalight display. For the second one, a self-winding movement is only fit for a profession that involves constant movement. If you move a lot, this is more or less going to suit your style. Originally introduced in 1945 as the first self-rewinding watch to have a date display, the Rolex Datejust has a rich history. Which is due to its performance and looks (fluted bezel is a trait here). 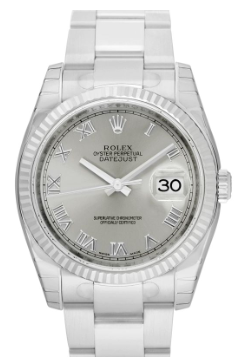 Nonetheless, a brand new Rolex Datejust can cost anywhere between $6,000-10,000. 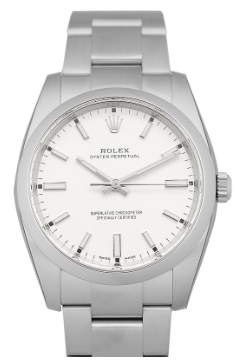 We consider it a great mid-range timepiece not only because you can get it for that price range, but also because a Rolex Datejust overall will always keep it’s classic and staple look throughout the years to come. 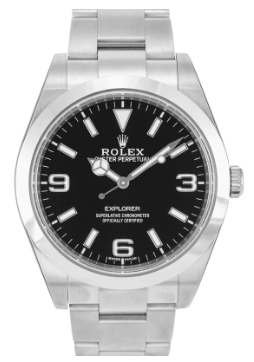 For those with an adventurous side to their personality, the Rolex Explorer shares your goal, but will it easily meet your needs? It can be found for around $6,000-7,000 which fits the theme here. But for that amount of cash, you’ll be getting a watch with a 35 mm Oyster case, Rolex’s popular Twinlock system, easy adjustability with the Easylink comfort system, chromalight markers, and a powerful automatic movement (Caliber 3132). The cumulative effort of all these things creates a watch that’s rugged, beautiful, and functional. A Rolex Submariner will be recognized by everyone on the planet. They might not know the name, but the look is definitely famous enough—which is for good reason. The watch is a great performer, regardless if it’s under pressure or you’re using it casually. 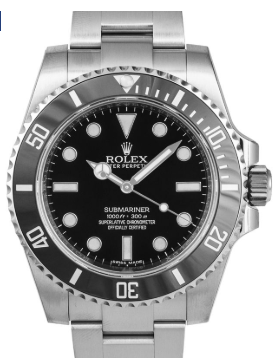 That said, while Rolex Submariner usually cost upward of $10,000, the entry level Rolex Submariner 114060 costs just below $9,000. The only difference between it and the others is the missing date display. Every other thing remains the same, including the rotatable 60-minute bezel, Glidelock system for precise adjustment of the bracelet and the current collection’s ability to resist water up to a depth of 300 m. The use of the powerful self-winding Caliber 3130 is still the same as well remain. Now, it all depends on whether or not you can compromise. The definition of mid-range differs from one individual to the other. That’s the whole reason why the watches above cover a wide enough price range. Pick any that you like knowing that it’s one of the best mid-range (budget-wise) watches Rolex has made! Nonetheless, make sure you stick with your budget. 0 Mar 13, 2019 by Arslan B.